The GABLER Thermoform range comprises a complete machine line-up with four product lines and additional components. We offer our portfolio throughout the world in top quality with customer-oriented service and at best value for money. You will find the ideal solution to fit your specific requirements here. Any questions about our products or services? We will be pleased to advise you and will find the best solution for your requirements. 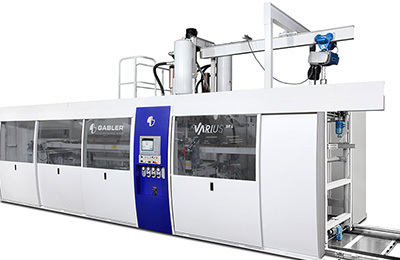 Why machines from GABLER Thermoform? Our machines boast up to 20 per cent higher output than comparable systems on the market. Your advantage: Lower costs per unit produced and faster amortisation of your investment. Our high-performance machines normally run 24/7 with the appropriate operation and maintenance – and that for many years. Your advantage: Reliability of process and planning with peak productivity and minimum downtime. “We have been a satisfied GABLER customer for years. Our key metrics such as price-performance, on-time delivery, stock levels and customer service have been met on every order.” EDECA, S.A.
"The M98 machine is working well and I'm so happy with the support we always get from GABLER's technical staff if we ever get in a problem which its out of our ability to solve." Cast-steel forming stations and components designed to withstand peak loads make our machines extremely stable. Your advantage: This allows tools to operate more smoothly and reduces wear. 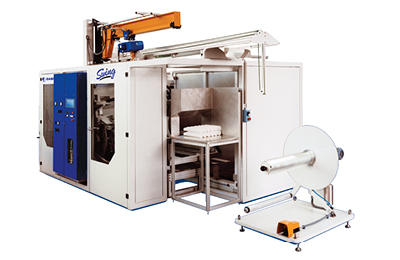 Thanks to the up-to-date controlling concept from GABLER Thermoform, our machines can be operated simply and intuitively. Your advantage: Low investment in manpower and short training time for staff. 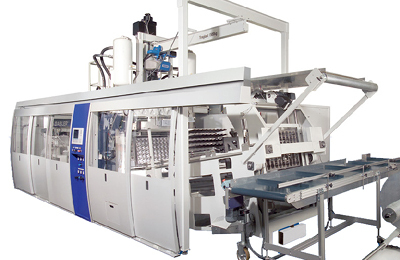 Automatic lubricating systems and optimum access to all sensitive parts ensure the amount of maintenance for our machines is extremely low. Your advantage: Short, predictable downtimes.